Trendy homeowners paint bold elements like house walls, garden gates and solid fences in very dramatic colours against which to provide a contrast for either very architectural or subtly coloured plants. It is not unusual to see black or navy house walls complementing the lime-green branches of a fever tree. Resolution: Use bold background colour on hard elements, to set off focal plants. 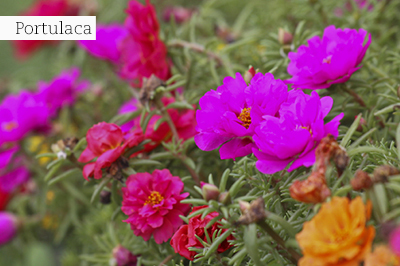 You can even try mid-summer annuals in single colours like Portulaca – available in red, yellow, white or orange. Appreciate the fact that slow growing, but long-living plants like trees and some shrubs can be beautiful and giving all year long – even if you see only bare branches in winter. Vertical gardening (with culinary herbs), terrariums, baby veggies (like cherry tomatoes) in pots, mixed herbs with colourful foliage (like purple-leaved basil and variegated thyme), are in! Another trendy option here is a potted garden with different salad types, combined with edible flowers. Resolution: Don’t despair at your lack of space for a military style veggie garden – start getting your hands dirty and play around with pretty veggies and herbs in containers of all kinds. Added bonus: You will have loads of ingredients to experiment with in the kitchen! Resolution: Love our home grown plants and use them to the maximum as formal hedging and for topiary. Pick them to create a typical cottage garden, or combine those which are suitable, to create a dramatic ‘dry garden’ – they are all waiting for you out there in nurseries! Don’t try to create a fussy miniature botanical garden in the suburbs, but rather try to choose plants which are easy to maintain. Resolution: Create different water-use zones by grouping those plants that have similar water needs. Also know that most modern hybrids of any old favourites, were bred specifically for more staying power – less hassle, less water wastage, more gardening bucks! Resolution: Make a plan to catch any re-usable water flowing wastefully away from your home into storm water drains, at all cost! 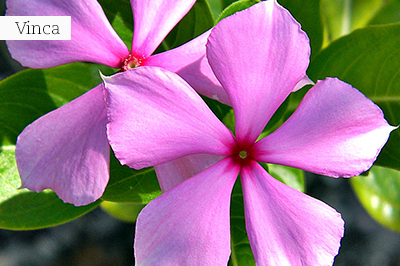 For a burst of flower power, allow the pretty disc flowers of Vinca in shades of pinks through to purples, as well as pure white, to transform your garden into a wonderful water wise haven. These annuals are frost sensitive, so will last until the end of April. Plant these perennials now: all Salvia varieties, Coneflowers (especially Echinacea ‘Cheyenne Spirit’), and Agapanthus hybrids – all of which will still be in flower. Roses can be trimmed back lightly and fed to encourage another flush. Fertilising the whole garden over the next few weeks is important to keep the lawn lush, and the plants in flower. Trim Fuchsias and Hibiscus to encourage new growth and cut back Salvias that have finished flowering – this will boost new growth and flowers for autumn. At the end of the month, you can start sowing bi-annuals like Delphiniums, Larkspurs and Foxgloves. To mix up your own sowing medium, buy a block of palm peat or two. This is a moisture retentive and sustainable medium for seed sowing and rooting cuttings. Mix some quick germinating herb and vegetable seed like carrots, beetroot, radish, chives, and lettuce together, and sow in window boxes or pots for snipping off, to use as healthy microgreens for summer salads. Sow Cape gooseberry seed in trays too, as well as more annual herbs like basil, parsley, coriander and watercress to replace tired crops. Look out for super perennial Petunia ranges which like it hot (like Petunia ‘Cascadia Indian Summer’ with a strange mix of orange shaded flowers), and the ‘Crazytunia’ range. Prune overgrown shrubs, except those which will flower and produce berries in winter and spring. Trim hedges and topiaries to keep them looking good, and in shape. 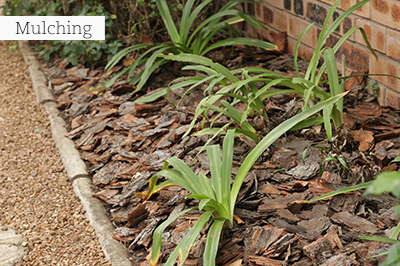 Dig up and split overcrowded perennials like Agapanthus, Watsonias, Irises and Dieramas. Harvest ripening veggies daily if needed – do not leave them to pass their prime. Water 2 – 3 times per week if rain stays away. Visit your local GCA garden centre and pick up the appropriate herbicide for weeds, and check for pests and diseases – treat these with a suitable pesticide, where necessary. Use prunings of aromatic herbs like catmint, lavender and rosemary, as an insect-repellent mulch around plants. If lawn caterpillars invade your lawn now, enquire at your local GCA nursery for products to combat them. It’s easy as spreading around some fertiliser granules, which have been infused with insecticide. A recommended tree to plant this month is the wild olive tree, which is relatively fast-growing, as well as frost-, drought- and wind-resistant. It provides a beautiful texture and colour to any garden. 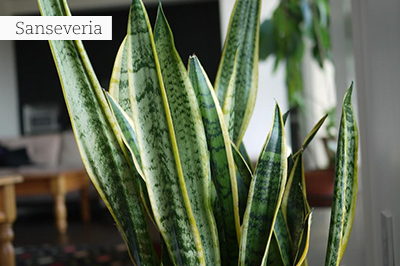 If you are battling to find an indoor plant for a hot spot, plant a sanseveria (mother-in-law’s-tongue) in a smart pot and all your worries will be over. Begin a feeding program now for Azaleas and Camellias. 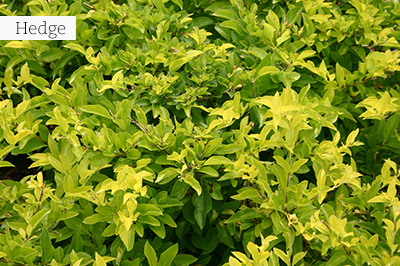 Use a specific acid fertiliser and water deeply and regularly to help them set buds for a good show in August. If mosquitoes or flies are driving you mad when you have a braai, burn a twig of sweet basil in the fire to deter them, or place a pot of sweet basil nearby – they don’t like the smell of it! Start sowing spinach, beetroot, onions, broccoli, and cauliflower. It’s time to plant lots of variegated and bright foliage plants like Duranta erecta ‘Sheena’s Gold’ and ‘Goldmine’, Trachelospermum jasminoides ‘Summer Sunset, the beautiful new cordyline varieties like Cordyline banksii ‘Electric Pink’ and ‘Electric Star’. To cover an unsightly wire fence, plant a row of white or blue Plumbago auriculata – a top indigenous rambler with dainty flowers in late summer to autumn. Feed lawns with a fertiliser which contains slow releasing nitrogen, to maintain lush colour. Then feed all flower beds with slow releasing general fertiliser (which contains nitrogen, phosphate and potassium). Feed garden containers, young seedlings and indoor plants every two weeks with liquid fertiliser. Remove old flower stalks and dead material around the base of spent perennials, to curb mildew, rust and red spider mite. 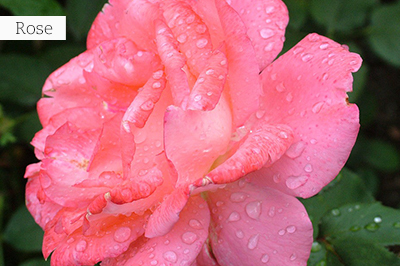 Don’t forget to spray roses regularly to protect them from black spot, mildew and aphids. Perennial Vygies supply endless eye candy in spring when the plants are covered with the luminescent, satiny flowers in the brightest of colours. One can never have too many of these indigenous groundcovers for hot and sunny spots. They are luckily very easy to grow from cuttings, which should be taken in January. Salvia leucantha (Mexican sage) is an all-time favourite with pointed leaves ranging from mid-green and glabrous, to grey green with short hairs. The velvety inflorescences also vary – in length and in size of flower. The colour of flowers and calyces range from midnight-purple to purple-blue. The flowers bloom in late summer, in whorls that are produced abundantly for several months. Watch out for hawk moth caterpillars feeding at night on Impatiens, Arum lilies and Fuchsias – remove them by hand, or control with an appropriate insecticide. Visit your local GCA garden centre for advice on the best one to use. Use a spray bottle to mist house plants like ferns and orchids on hot days, to provide extra humidity. 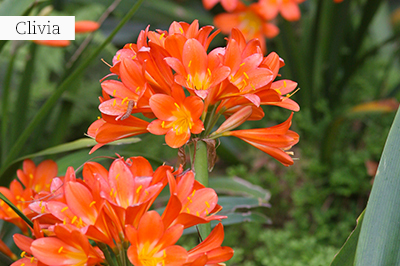 Pull out the old flowering stems of Inca lilies with a firm tug. You can dig up some roots and new shoots and replant them in other parts of the garden. 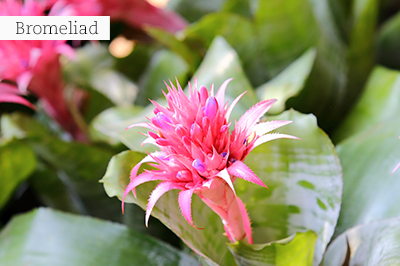 Flush out stagnant water from bromeliads with your hose to prevent mosquito larvae from hatching there. 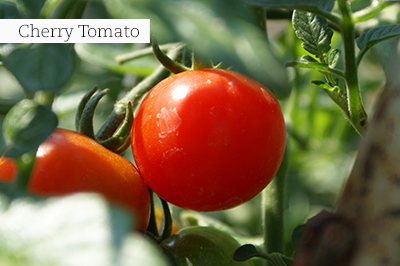 Sow or plant seedlings of cherry tomatoes. If seed potatoes are sent to ground now, there will be a harvest in early winter. Protect young seedlings of loose-leaf lettuce varieties under 30% shade net to safeguard them against the heat. Keeping cool is priority now. Plants which are in full sun locations and container plants in particular, can be stressed to their maximum. Regular watering is essential and simply skipping a watering or two can result in sensitive plants being irreparably damaged. Mulching offers a protection layer on top of the soil as it conserves moisture and stabilises soil temperatures, to keep plant roots cool. It also has the added benefit of reducing weed growth – what a winner! Heat tolerant plant varieties have been developed to thrive in hot, dry conditions. These plants thrive in the mid-summer heat and are the ideal choice for focal areas and colour containers. Examples are the latest Aloe hybrids, Agaves, Bougainvilleas and succulents. 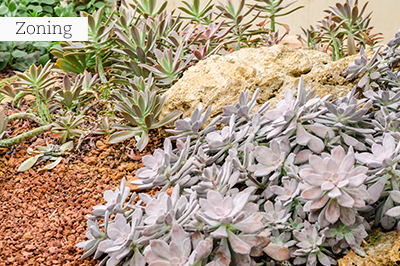 Remember that succulent collections and hard landscaping are extremely trendy at the moment. Coreopsis varieties are bold, bright and striking. These low-growing perennials are packed with masses of daisy like flowers in a wide range of yellows, red, pink and cream colours. Ideal for containers, borders and rockeries. Roses thrive in the heat and will continue to produce flushes of stunning blooms right through until after Easter. They are, however, thirsty plants and are ‘gross feeders’. In very hot weather, water the rose garden deeply every second day. Add a handful of rose fertiliser to each rose bush monthly and dead-head regularly to further promote flowering. Insects are problematic in the heat and the rain. Preventative spraying every 2 weeks with a rose formulation protects against both pests and diseases, ensuring your blooms last for longer – both on the bush and in the vase! Visit your local GCA garden centre for advice on a reputable and effective rose formulation. Best pals: Dahlias and roses complement each other, as they like the same growing conditions. Add a colourful border of bedding dahlias to hide the bare stems of large rose bushes. For more drama, you can also add silver foliage in with Senecio ‘Dusty Millar’. Spread dead flowers, grass clippings and fallen leaves under the base of your shrubs. This makes a mini-compost pile, acts as a water-conserving mulch and returns nutrients to the root zone. Brilliant Bougainvilleas are hardy, low maintenance plants that thrive in full sun. They are fast growing and will quickly cover open areas where their display of stunning bold colour will not go unnoticed. Bougainvilleas are excellent climbers, hedge-plants and are ideal for use on a pergola. 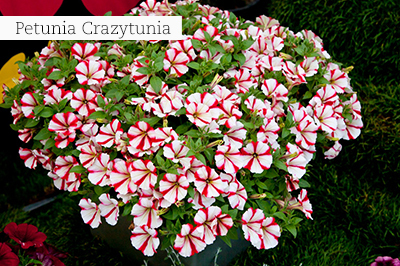 Dwarf varieties are also available and are stunning as smaller plants in containers, and as part of mixed plantings. Keep herbs well-watered and well-fed – healthy plants are more resistant to pest and diseases. Boost their growth and nutrition content by feeding with fertiliser. Don’t forget to mulch between rows to conserve water. Do this with organic mulches or frost netting. Cut parsley and other herbs, wash, and then freeze them in ice blocks; when you need them for soups or stews they will still be fresh. This option is much better than dried herbs. On hot days, refresh the water in your bird bath again at midday, as it can become very hot for the birds. Keep bird-feeders well-stocked under shady trees, to keep your feathered friends cool.